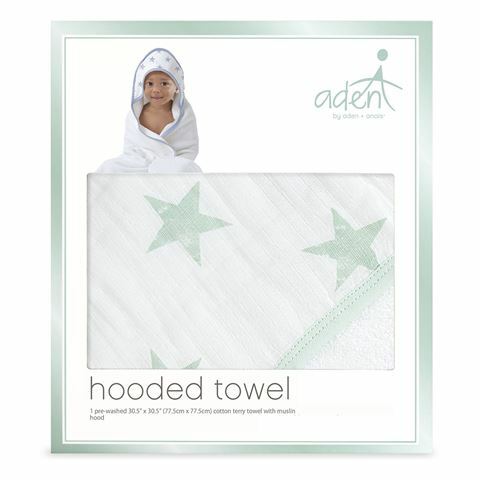 The Dream Stars Hooded Towel by Aden and Anais is the perfect way to keep your little one warm and dry. Made from plush cotton terry, the machine washable towel has a colourful muslin hood that makes bath time fun and cozy. Beautiful blue star design on the hooded towel.